I did a video, because I was too lazy to think about and research and write up a topic properly, and because I needed something for testing editing software. 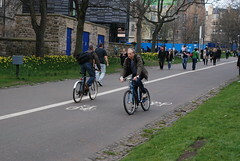 It’s about shared use foot/cycle paths in parks. I know! Super exciting, right? This means that I now not only hate the sound of my voice, I hate my mannerisms generally. I was not entirely unaware that smiling/grinning/laughing doesn’t look good on me, but, damn, I do all those other things as well? But in a fit of reckless impulsiveness I thought I’d go ahead and publish it anyway. It starts with an apology, but I’m really not sure that one is ever enough. For more on the topic, see Jon’s post at Traffik In Tooting. 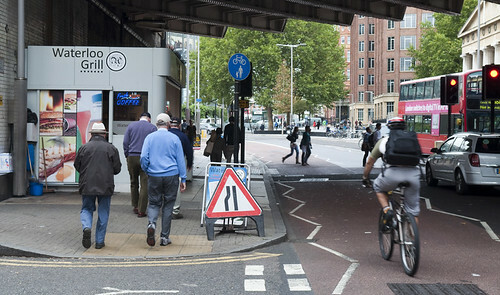 The London Cycling Campaign discussion referenced is here. Another of the Embassy AGM Infrastructure Safari writeups. 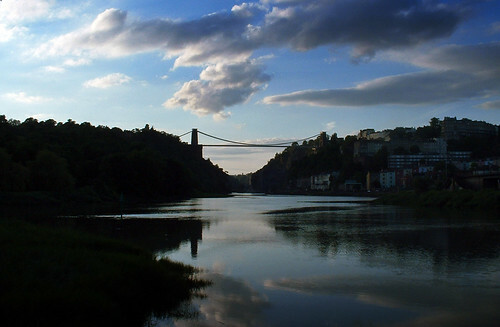 Shorter and not quite so nerdy: a scenic circuit of the lower section of the former docks in the evening sunshine, including a Victorian-era riverside shared path, a huge incongruous 1960s road system beside the Clifton Suspension Bridge viewpoint, and another example of Bristol turning roads into parks. The main point, though, was that the old quaysides and riverside paths, despite all their limitations, make usable and even pleasant (if you’re not in a hurry) cycle routes, linking up to the other traffic-free routes, and perhaps help to explain Bristol being that fraction better than the rest of the country at widening access to cycling. 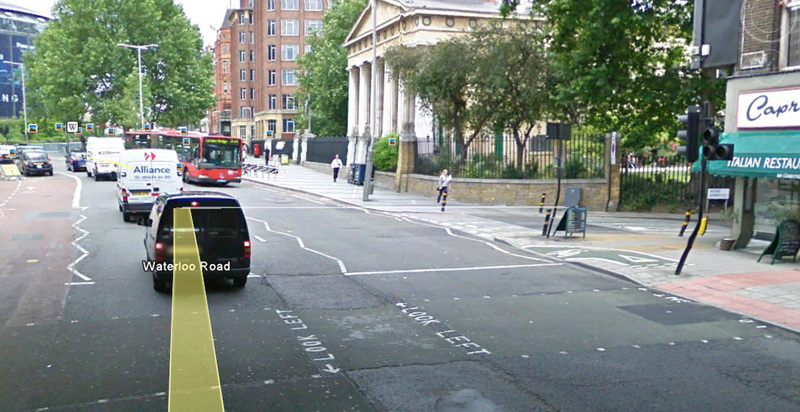 Here is the Google Map tour. A LARGE congregation is expected to pay its respects at the funeral of a well-known Hucknall grandad who was killed in a tragic road-accident. Cyclist Alan Davies (58), of Polperro Way, died after he and an articulated lorry collided on Watnall Road, Hucknall, near the Rolls-Royce site on Tuesday September 27 at 7 am. His funeral is scheduled for Hucknall Parish Church on Market Place at 2.45 pm next Thursday (October 13). Cremation will follow at Mansfield Crematorium before a get-together at The Hucknall Empire pub and restaurant on Morven Avenue, off Beardall Street, from 4 pm. As well as his wife, Dorothy, Mr Davies leaves three children — Danny (38), who now lives in Huddersfield, Kimberley (29) and Charlotte (28). He also leaves five grandchildren. His family and friends have been devastated by the tragedy. A man with strong connections to local football, Mr Davies was well known in Hucknall. He stood as an Independent candidate in the Hucknall West ward at the Ashfield District Council elections earlier this year. A former fitter at the now-closed Linby Colliery, Mr Davies was also an avid writer of poetry and an expert on Lord Byron. His family say he “had Hucknall at his heart”. An inquest into Mr Davies’s death was opened and adjourned at Nottingham Coroner’s Court on Tuesday. As reported in the Dispatch, Mr Davies died 30 years after his five-year-old son, Julian, was killed in a road accident on Annesley Road in Hucknall. It was the top Google News report when I was looking for coverage of the Hucknall “Town Centre Improvement Scheme”, a Development Pool project seeking £8.5 million to pedestrianise the town’s High Street… by demolishing eighteen houses to make way for a bloated new “inner relief road” linking the two streets named in this news item. I have never been to Hucknall, but Nottinghamshire must have a pretty low opinion of the town if they think that this an “improvement”. It’s another of those roads that council officers have been drawing and re-drawing for fifty years — and it wouldn’t look out of place in the 1970s. Perhaps the current head of highways drew it himself, as a lad, in a junior position decades ago? Hucknall already has a bypass, the A611, built in the early 1990s. It only has a High Street traffic problem now because it failed then to do anything to prevent the town centre being used as a ratrun. 1.2 What are/were the primary objectives of the scheme? Please limit this to the primary objectives (ideally no more than 3) the problems to which this scheme is the solution. 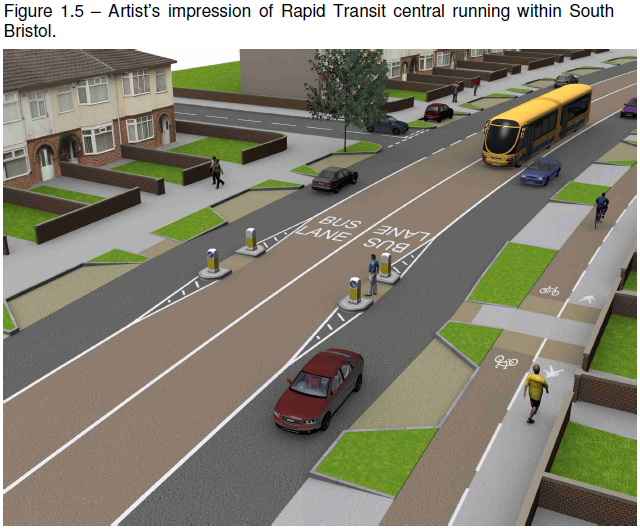 You wouldn’t even guess that most of the money will be spent on demolishing 18 houses and building a big new town centre road, to the most walking and cycling unfriendly design possible for a road of its class. 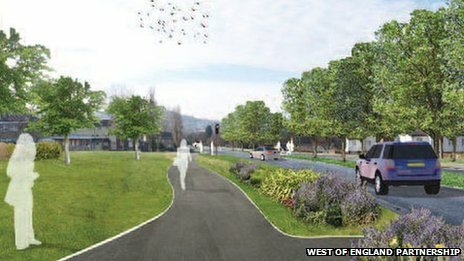 What are those “enhanced” pedestrian and cycle facilities? A 3.0 metre shared pavement has been specified. A new source for the Facility Of The Month, perhaps. 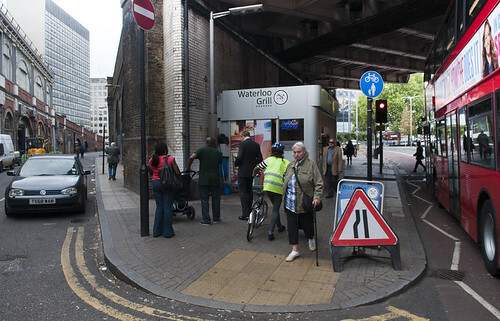 Maybe there will be a while line down the middle, giving pedestrians and cyclists each their 1.5m share of the pavement. 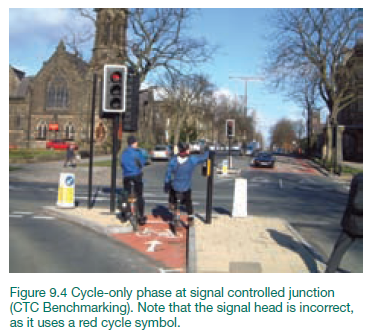 Three metres is the bare minimum for an adequate dedicated bidirectional cycle track. 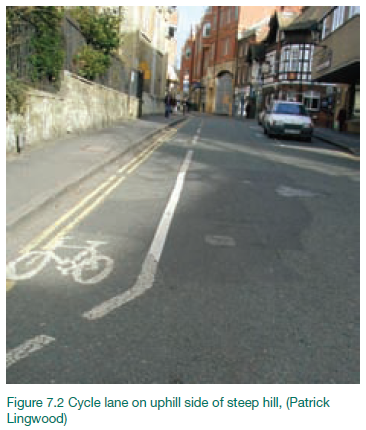 Anybody who proposes in an official document that cyclists and pedestrians share a 3.0m pavement in a busy town centre should have their bid laughed out of the Pool. There should be legislation stating exactly that: setting proper standards and disqualifying the bids of councils and agencies who don’t meet those standards. But what’s this? Are you proposing any changes of scope from the scheme as described in Section 1? If yes, please describe in detail the changes you are proposing. Please also attach explanatory maps, diagrams etc. as appropriate. I don’t take the linking of a personal tragedy to a political campaigning issue lightly. But tragedies like these are entirely predictable. When you build big roads and unusable “facilities”, and send articulated lorries through town centres and residential neighbourhoods, people are going to die. Nottinghamshire have killed a man and they plan to kill again — with £8.5 million of our money, if they can get their hands on it. The DfT are accepting comments on Development Pool proposals until the end of tomorrow, Friday, on development.pool@dft.gsi.gov.uk.